If you’ve invested in a quality refrigerator, you certainly want it to last for years to come. Regular refrigerator maintenance is crucial to keep your refrigerator in tip-top shape as long as possible. As instructed in your User’s Manual, you should clean the condenser coils on your built-in refrigerator once every year. Call for more information or to schedule service! At Ortega’s Appliance Service, we know the importance of regular refrigerator maintenance and cleaning. That’s why we offer reliable refrigerator annual cleaning services in Albuquerque and the surrounding area. 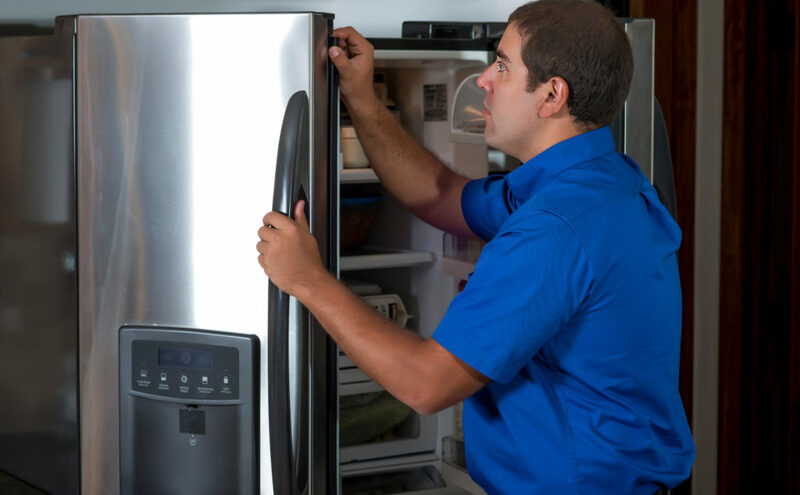 Our technicians perform a thorough inspection of your entire refrigerator, so nothing gets missed. Schedule an annual refrigerator cleaning with us today. Why Choose Ortega’s for Refrigerator Condenser Cleaning? Call Ortega’s today for fast, friendly, reliable refrigerator maintenance and cleaning services. We look forward to helping you!